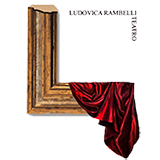 If you have any questions about Tableaux Vivants and Ludovica Rambelli Teatro company, or you wish to arrange a show or would like have informations about shows already scheduled, here you have all the available ways to get touch with us. Fill out the form below: we promise that we will reply as soon as possible. For urgencies, you can also call us at the number you find below or write us an email.